Home > Blog > How to Build a Raised Garden Bed! 15 Jan How to Build a Raised Garden Bed! A treat for any garden; a raised bed is not only a beautiful addition to your landscape area, but it is easy to maintain and build. Find a place in your yard so you can position your raised garden in the sun. There are many raised garden kits or you can build the garden from scratch. 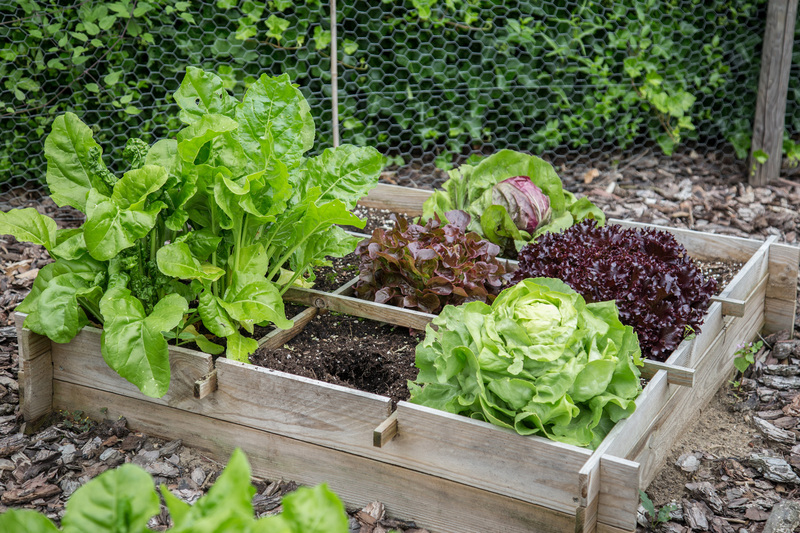 When building your raised garden use only durable woods that will withstand the outdoor elements. Once your garden frame is built, fill it with potting soil and your preferred selection of flowers or vegetables. A raised garden naturally drains. Watering is easy and as with any garden should be done regularly. A raised garden is a stunning addition to any landscape area and a fun project for all gardeners! Cooler weather is here. Plants that adapt well to cool weather are known as “winter plants” and are our featured products of the month. All of our winter plants are included in our current promotion. Fertilize winter lawns following the first mowing with a high-phosphate product. Be sure to follow the label instructions. January is a good month to prune roses and transplant bare root roses. Prune only deciduous non-native trees, fruit trees and grapes. January is a good month to plant bare root fruit trees. Continue to protect sensitive plants from frost. Continue the decreased winter watering schedule.